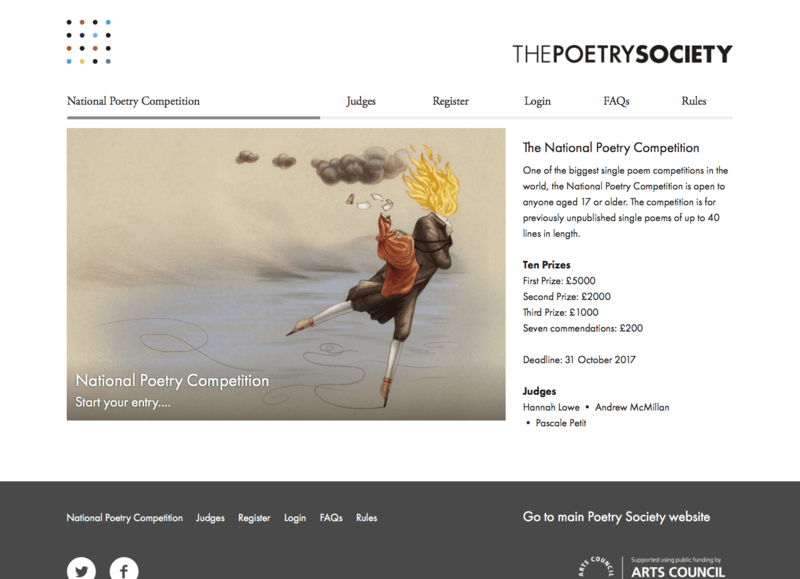 The Poetry Society is a charitable organisation that has represented British Poetry since 1909. 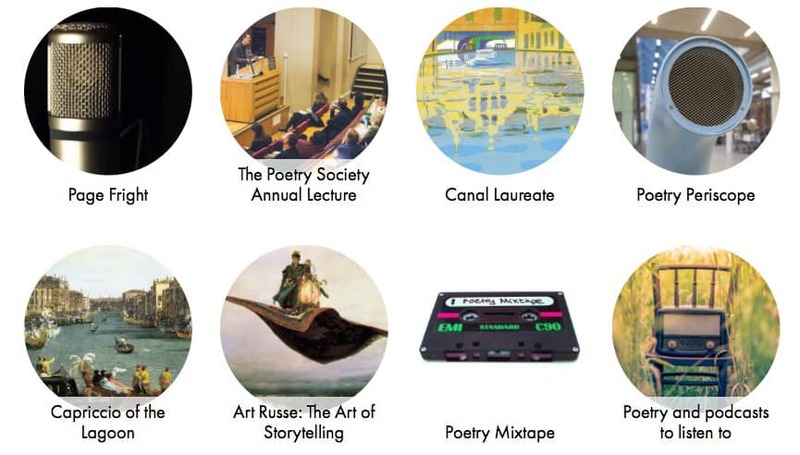 It has become a dynamic arts organisations, representing British poetry both nationally and internationally. 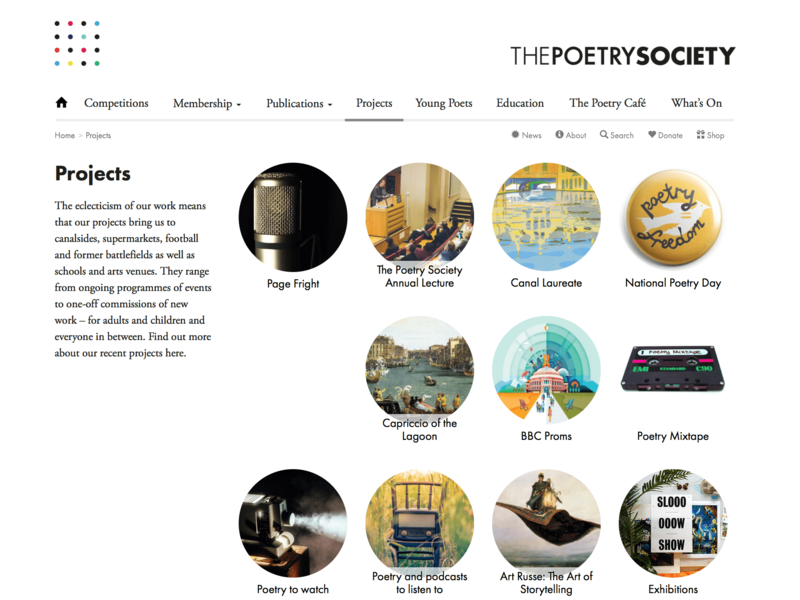 The Poetry Society has more than 4000 members worldwide and publishes the leading poetry magazine, The Poetry Review, as well as running a number of supporting projects with young people. 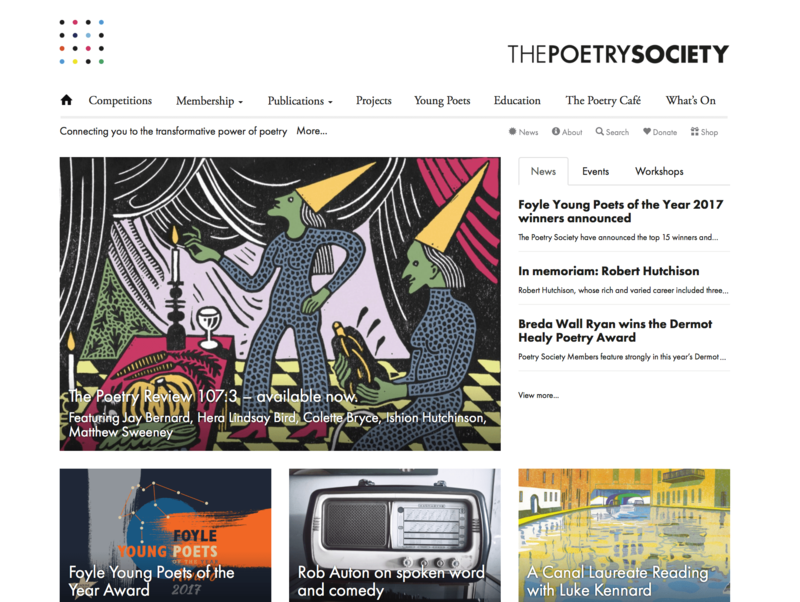 Surface Impression designed and built the Poetry Society website, implementing their new branding that was created in parallel with our digital development work. 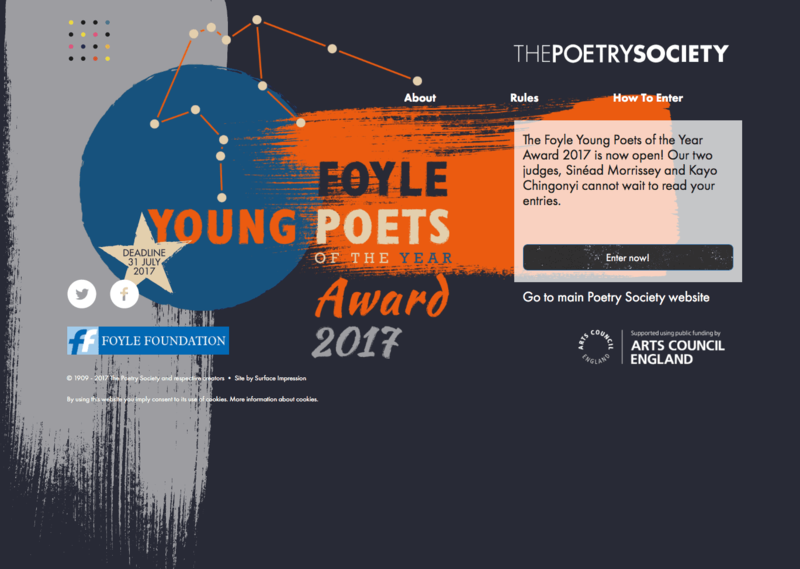 The website includes a sophisticated platform approach that allows the Poetry Society to deploy a number of audience-focused microsites under the same architecture. 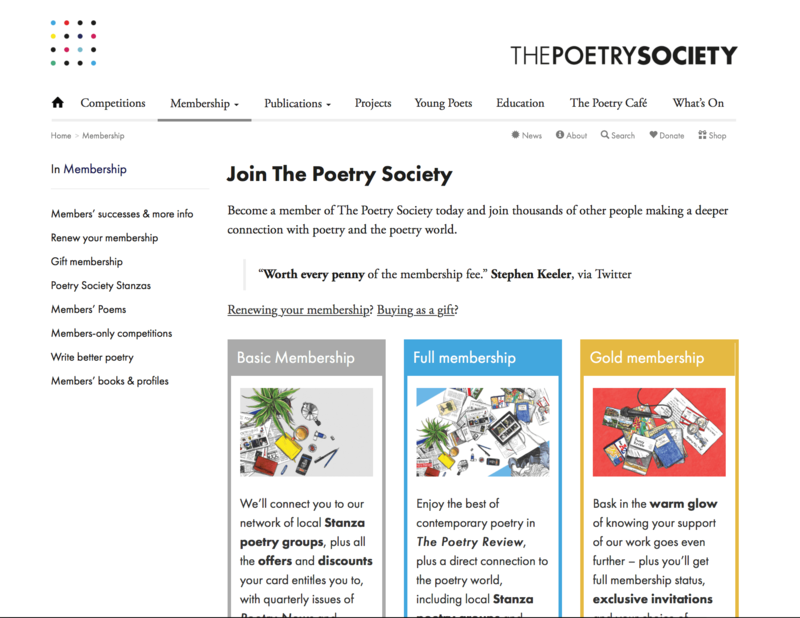 We developed ecommerce functionality for membership, ticket sales and book/journal purchases.